Fryderyk Chopin is the youngest of the Polish tall ships. It was built between 1990-92 in "Dora" shipyard, in Gdansk. The ship was designed by Zygmunt Choren, the author of "Pogoria" and "Dar Młodziezy". 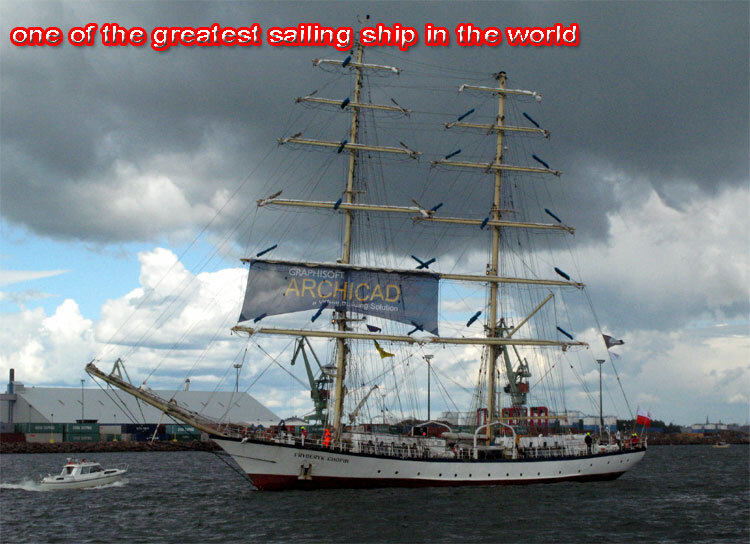 Named after the polish nineteenth century musical composer, "Fryderyk Chopin" has a long bowsprit which means she can set five headsails and take advantage of light winds.